You can forget transfers and long walks with Robin Hood On-Airport Parking; it's directly opposite the terminal. So all you need to do is park and stroll - it'll take no longer than a minute. Price Buster packages More money on your parking or more money on cocktails? We know what we'd choose. With this package, you can make a guaranteed saving on the standard price. This type of deal means you won't be able to change or cancel the booking once it's been made - but it's an effortless way to save even more of your hard-earned cash. One of the most popular on-airport car parks still just a short walk from the terminal. You can forget transfers and long walks when you park at Long Stay. Their secured car park is opposite the terminal, you'll get there in no time! When you arrive at the car park, drive up to the barrier, take a ticket and the barrier will lift to let you in. Then, park in a space and walk the 3-minute journey to check-in. Keep your ticket with you as you'll need it on your way back. If the barrier does not recognise your number plate please take a ticket. While you're enjoying your well-earned holiday, your car will stay exactly where you left it in the secured Long Stay car park. It has barriers, CCTV and regular patrols and has even won the Park Mark award for its security, so you can be rest assured your car is in good hands. Looking for a car park close to the terminal? Then book Long Stay today and you'll get the best price around. Blue-badge parking spaces are available on a first-come-first-served basis. This car park is within walking distance of the terminal, so there's no need to transfer. When you're ready to fly, it's a 3-minute walk to check-in. Only negative was signs directing you to car park were hard to see in the dark, lights above would be helpful. No problems at all, plenty of spaces and we managed to get one near the terminal so not far to walk at all! Our customers rated Doncaster Robin Hood Airport Parking on average 9/10 (2318 reviews). 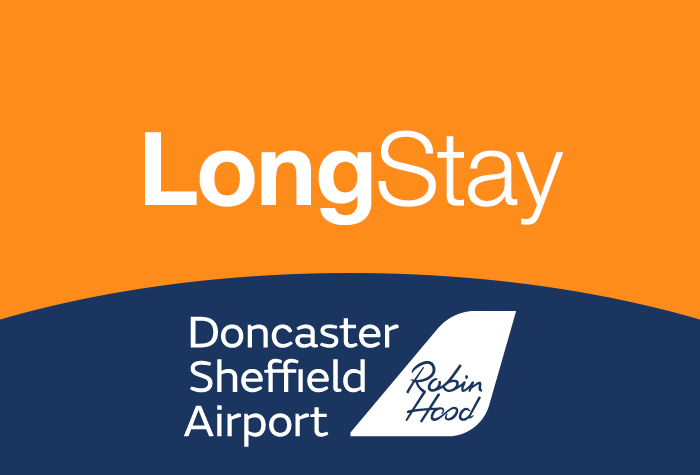 Read Doncaster Robin Hood Airport Parking reviews.